Each and every year we see a lot of new startups emerging and make it successful while few have blink and miss appearance. Startups are always on the lookout for investment for their ideas and products. Investors are looking to invest in startups even though the stats state that more than 50 percent of small business fail in the first four years. An entrepreneur wonders where they can find the right investor for the idea, but the truth is the right startup is able to garner the attention of the investor if they have the right idea. The success of a startup is very opinioned and dependent upon the type of industry and business involved. Even though investing in startups has its share of risk but definitely, growth is one major aspect to invest. Here are a few reasons investors find it their money’s worth to invest in a startup. The product is an important aspect when an investor looks to invest in a particular business. What is the potential market for a particular product? How is the product going to make an impact in the market? How much traction the product/service can bring in? What is the market size of the product/service? 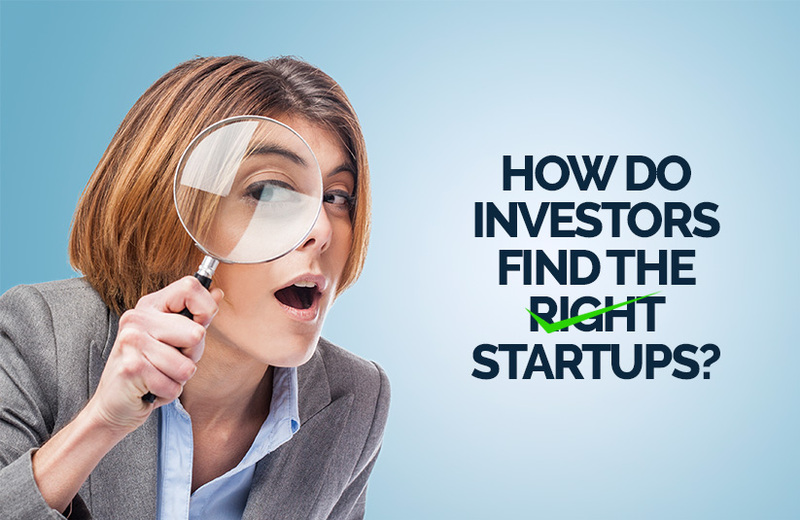 All these points interest the investor while finding the right kind of startup to invest. Scalability is yet another factor that an investor searches for when asking a decision to invest. A scalable business depends upon the market size of the product/business. Only a high growth and scalable business are able to give the 10 times the return on investment. Investors analyze and keenly follow the market trends, as well as the wider economic condition before making an investment decision. When they feel that the product rises at the right time and is able to occupy a large market share they deem it the perfect product/service to invest. Competition for the product is a major force for an investor to make an investment decision. Whether a monopoly or a disruptive marketing strategy, the investor needs to have a strong belief that the product is going to work in the market. Profitability is key for an investor. Remember that an investor is interested in making profits. An investor may be attracted to a particular startup if they are already making a profit or show promising signs of making a profit. The most important thing that an investor looks out for is the people and it all boils down to what kind of an entrepreneur they are investing in. They expect an entrepreneur who can be trusted, doesn’t quit and has a go-getter attitude. They also expect someone who is going to stick with their idea and make it work and happen. New investors generally begin with the industry they work in and know best. they look for what’s lacking in that market and how it can be made better. If they see opportunities, they start doing some online research and ask around. this is a way of hunting for exceptional entrepreneurs in their area of expertise. They look around for people in their network to see if it brings an immediate result. They attend every possible networking conference and attend parties hosted by startups. In other words, they do everything possible to find unique and interesting founders. They share ideas. They use the online medium to their advantage and share ideas for companies or products that could disrupt the market. This ensures that they attract the right kind of people. They host events where enterprising entrepreneurs can attend. They make use of the online community where they can sign up and scout for entrepreneurs. Startup investors often agree that the best way to discover new and promising talent in the startup world is through recommendations. This makes sense since it is about people they have backed in the past and with whom they have built a rapport over time. Ourbusinessladder is one of the top business development consultants and one of the leading market research firms in India. We are a one-stop solution for existing businesses and enterprising entrepreneurs.